Sorry, Mr. Stone. I’m still not buying it. But I will certainly use any excuse I can get to make and eat some pie! So, to summarize: Math might not be fun for everyone, but random “holidays” that require the eating of pie certainly are. 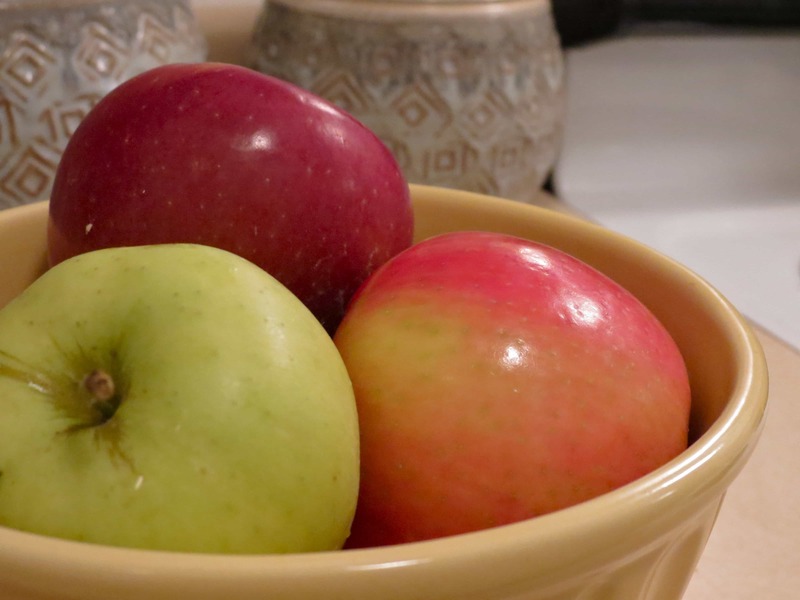 Peel, core and slice apples; place in a large bowl. Add sugars, cinnamon and lemon juice. Set aside. 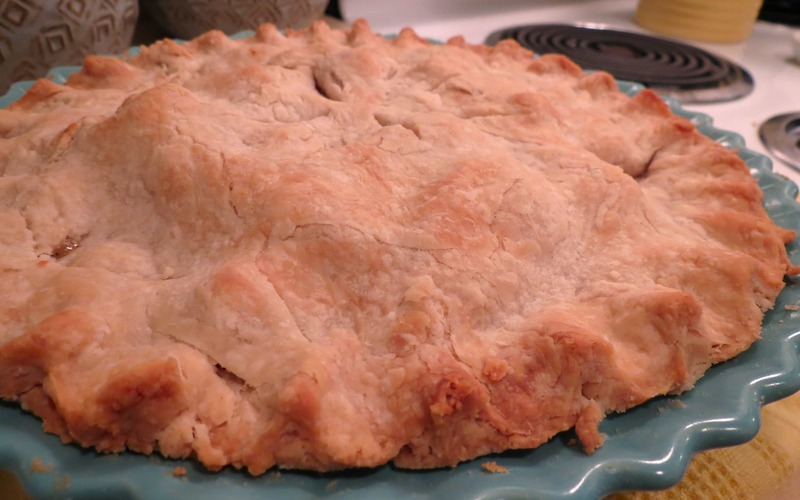 Roll half of the pie crust to fit into a 9-inch pie plate. Place into the bottom of the pie plate. Add flour to apple mixture and stir to combine. 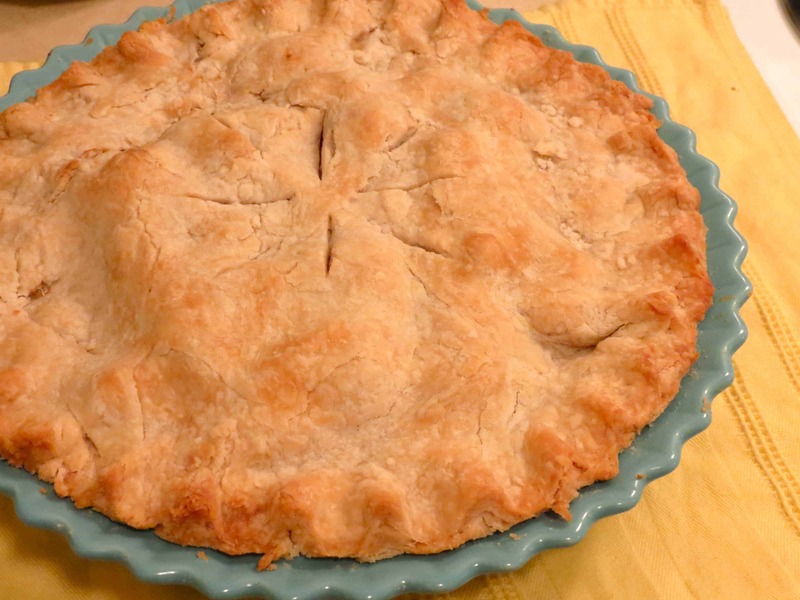 Pour into unbaked pie crust. Place the other half of the crust on top of the apple mixture, trimming excess and crimping the edges to close. Cut slits in the top crust. Bake for approximately 30 minutes, or until crust is golden and apples are tender. Sometimes the edges of a pie start to brown faster than the rest of the pie. To prevent them from burning before the rest of the pie is done, you can gently wrap foil around the edges about halfway through baking. This will allow the rest of the crust to continue baking/browning but will essentially stop the edges from getting too dark. Looks SOOOOOO GOOD!!!!!!!! There’s definitely a special place in my heart for apple pie. This one would totally fit in there. I can honestly say I have never thought of using more than one kind of apple! Brilliant! Brillant, indeed! Your pie is beautiful and, I’m sure, delicious. I also use a couple of different apples to get the consistency I want. I love what the different apples do for it! It’s not something you think about being a big deal…until you try it! And then you’re hooked. You can never go wrong with apple pie. Looks tasty. Happy Pi day. And a happy Pi Day to you! Did you make your crust, too? It sure looks like you did! I sure did! 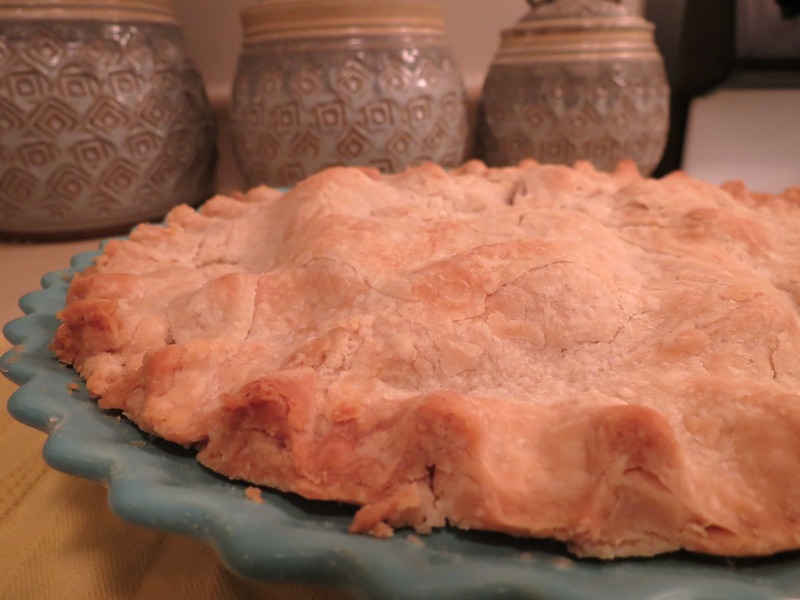 I was raised with a mother who only made her own pie crusts, so it’s the only way I do it, too!